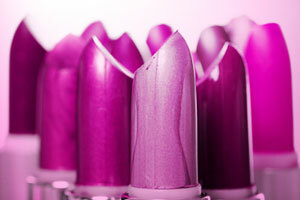 Beauty & All That: Quiz: What's Your Lip Color? Makeup artists John Fussell and Jane McKay both agree that pink is a youthful, healthy color that can look great on everyone. But like red, pink takes on many intensities and undertones, so before you shell out more dough for this trend, take the quiz to find out which shades were made for you. Comment below to let us know what shade of pink is right for you! It is astoundingly hard to find the right pink! i've probably tried a zillion since i was 12, but i recently discovered Perfect Pink from Sally Hansen Natural Beauty. Not only does this formula (Color Comfort Lip Color) feel amazing and moisturize the heck out my lips, but the color is indeed perfect! Carmindy from "what not to wear" (love her!) helped create the line, so I know why this color looked good on me, my mom and my BFF!